We have created something a little different for this season for you Jawbreakers! 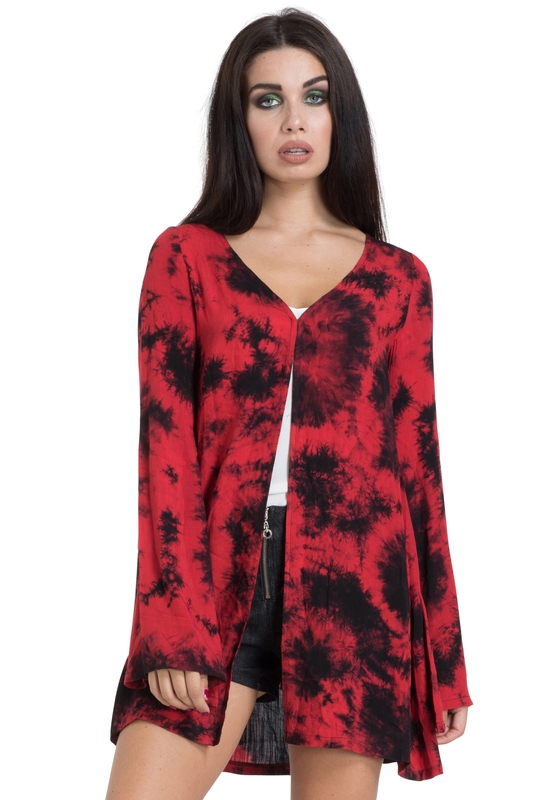 The tie-dye kimono is a fantastic bright red and black colour. 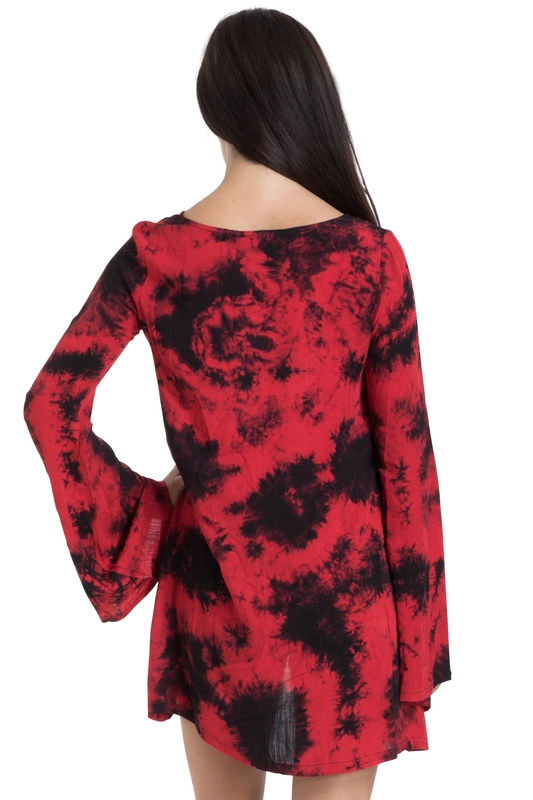 With long sleeves and a loose fit, this is alternative wear for the summer months! Love the look? Our Tie Dye Vest is in the same print!